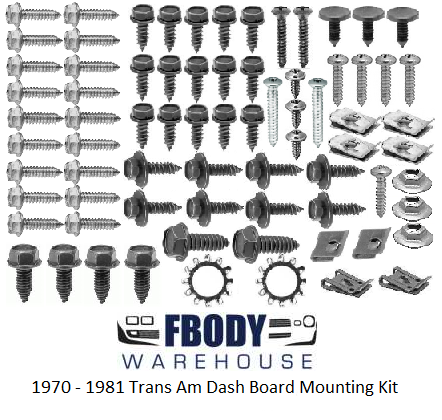 This is a new 77 piece dash mounting hardware set for 1970-1981 Trans Am and Firebird. 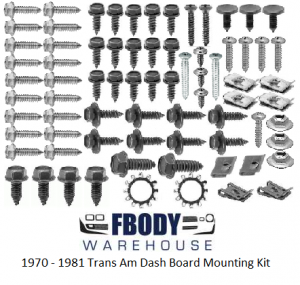 This is a new 75 piece dash mounting hardware set for 1970-1981 Trans Am and Firebird. Screws are bagged and labeled for easy installation. * Screws may differ cosmetically from the original, but will fit properly.